Learn what animation mode and its features do. Animation mode gives your room tools to make an animation, you must have the privilege to change room settings to enable it. An animation is a series of drawings played back to you to illustrate movement between each drawing. Each drawing is also known as a ‘frame’. 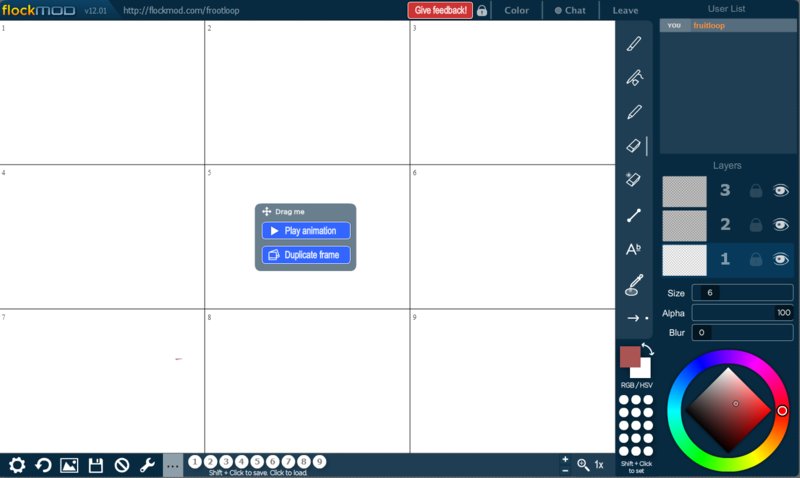 Animation mode divides the board into a specified number of sections. You can specify how many rows and columns you desire in the room configuration panel. You will also be granted two new tools, the frame duplicator and the animation player. Each section is a separate frame, or drawing. You may have up to 81 frames or as low as 4 frames. 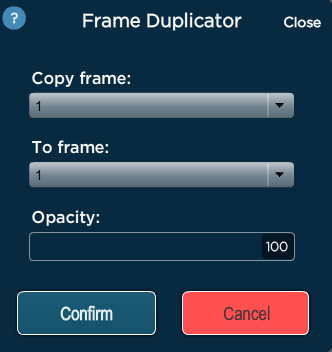 The frame duplicator allows you to copy one frame to another, so that you don’t have to redraw each frame if your drawings require it. You can choose the opacity of your load in case you just want an outline of your previous frame. 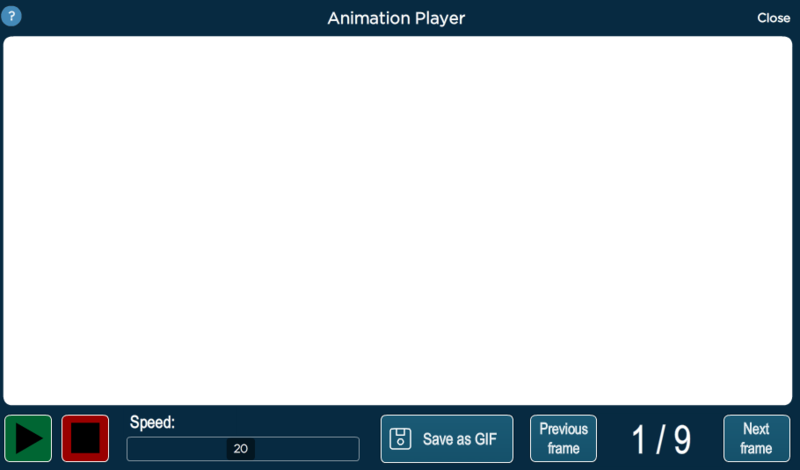 You will see the preview of your animation, you can also choose the speed you want it to play at. Once you’re satisfied with how your animation looks, click ‘save as GIF’ to save it as a .GIF file to the Flockmod gallery.